Right-click on the project in the Package Explorer, and select “Properties”. 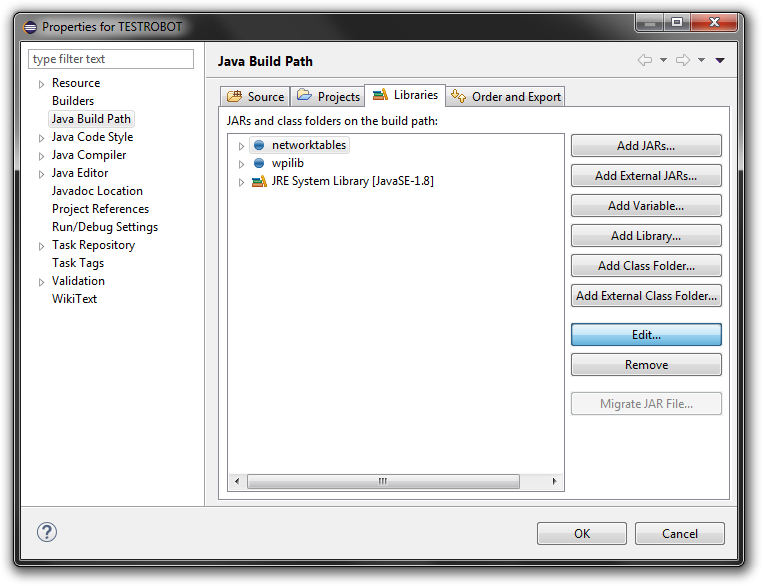 Go to “Java Build Path”, then the “Libraries” tab. Select either ‘networktables’ or ‘wpilib’ (it doesn’t matter which) and click the “Edit…” button. In the “Edit Variable Entry” dialog, click the “Variable…” button. Click OK to all the dialog boxes you now have open. That’s it! 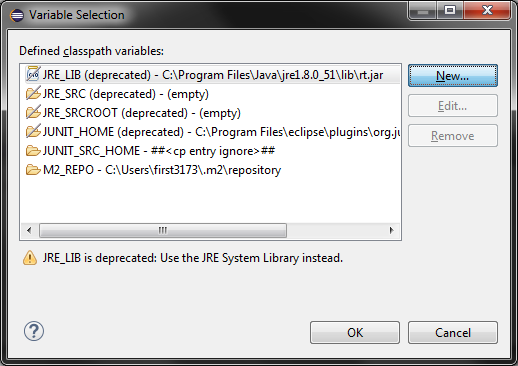 The unbound classpath errors should now be gone.